Yes, there is actually such a thing as Zombie Directors! This term is typically associated with public company Board Members who have failed to get a majority of shareholder votes in elections, but continue to serve on the Board. For private companies and nonprofit organizations, I like to expand upon this definition and think of Zombie Directors as those who don't regularly attend scheduled Board meetings. When they do attend, they arrive unprepared and behave zombie-like during important discussion topics and decisions. The public company zombie phenomenon is an interesting one. In the November 7th, 2016 Washington Post article, 'The Zombie Directors Who Lurk on Corporate Boards,' Jena McGregor addresses a study on Russell 3000 companies' zombie directors and writes, "All of those directors serve on Boards that have what's called a 'plurality' standard rather than a 'majority' one. In these, Boards only require that Directors receive more votes than a compelling candidate. Yet since most Directors run uncontested, they can win by getting a single vote." Further data from ISS Corporate Solutions Inc. shows a total of 225 scenarios from 2012 to 2016 where Board Directors of public companies got less than half the votes cast... but only 44 of those Board Directors exited within the next election cycle. Following investor and activist noise on this topic, companies have been more open to agreeing to terms in which Directors who don't receive a majority of votes have to tender their resignation. This growing practice, however, isn't a foolproof solution as Boards are typically not required to accept these resignations. This opens the door for Boards to reinstate unelected Directors without any repercussions. Hence, a larger than expected public Board zombie population. In my modified definition of Zombie Directors, as applied to private companies and nonprofit organizations, they truly can be bloodsucking and harmful to the overall health of the organization they have committed to serve. Wavering, noncommittal and partial involvement, not to mention unpreparedness and little value-add when present, is quite detrimental to not only a company or organization, but also to the camaraderie of the Board - this lowers the entire Board to the level of its weakest player. For private companies, this can almost ensure floundering progress and negative results. For nonprofit organizations, this can be a death sentence. Nonprofit organizations likely have the largest infestation of my alternate definition of Zombie Directors due to these organizations' historically lax candidate approval processes and lacking role & responsibility governance. A previous article, 'The Nonprofit Board Dilemma & How To Fix It,' touches on some of the systemic reasons of why Zombie Directors seem to fester within nonprofit organizations. More importantly, the article offers solutions on how to identify and banish these 'living dead' from any organization. 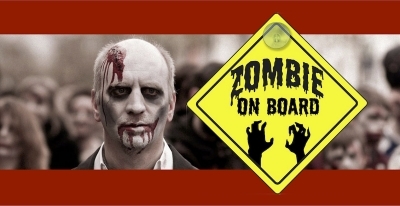 What will you consider to avoid a Board Zombie infestation? Reach out directly to Mark A. Pfister to discuss your Board's overall strategy. 'Becoming an Exceptional Board Director Candidate' Added due to popular demand! Learn the proven and effective steps to plan and implement your Board Director strategy. Experience how these achievable & focused efforts help you convey the expertise and confidence needed for serious Board Director / Board Advisor consideration (Available as a speaking engagement and/or a 1:1 individualized 3 month preparation coaching plan). 'Building an Effective Board For Your Company' shows business owners and leaders the immense value of creating or rebuilding an experienced 'go-to' Board of Directors or Board of Advisors - and most importantly, how to do it via a step-by-step roadmap. Make your company soar with the right foundational elements of an effective Board. Now experienced by over 10,000 attendees! (Available as a speaking engagement and/or consulting engagement). 'The Strategy of Strategy' guides you through the 2500+ year history, evolution and next phase of Strategy - 'Amorphic Strategy.' Learn why strategy is so relevant to you personally as well as your business. Build and leverage your business strategy as well as your own strategy to see how these focused efforts will help you thrive and reach your full potential (speaker video). (Available as a speaking engagement and/or consulting engagement).